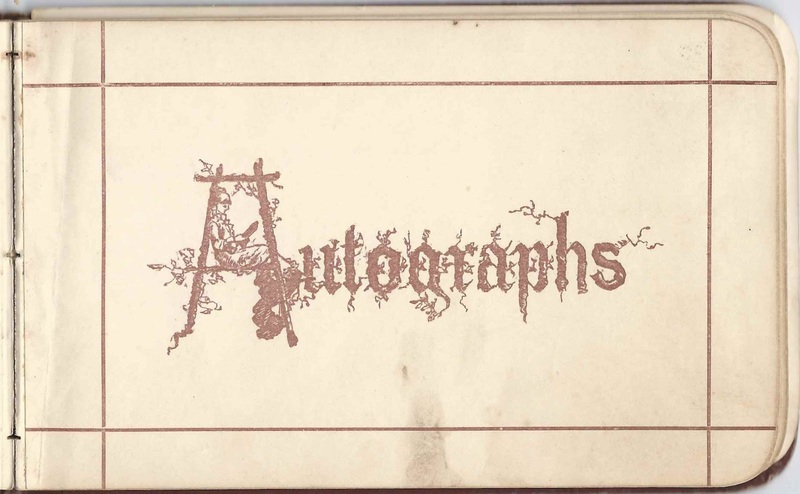 1900-1905 autograph album of Marjorie Triffitt of Whitneyville, Maine, with one page signed in 1930 by Marjorie's second husband. 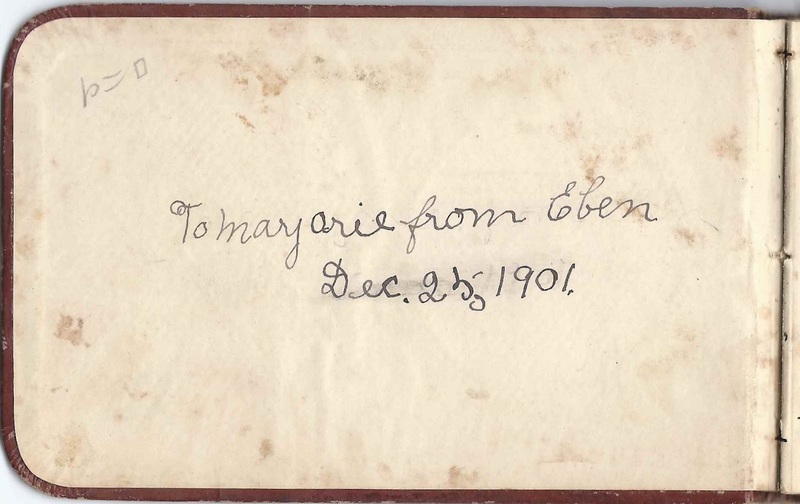 The album was presented to Marjorie by her older brother Eben Albee Triffitt at Christmas in 1901. 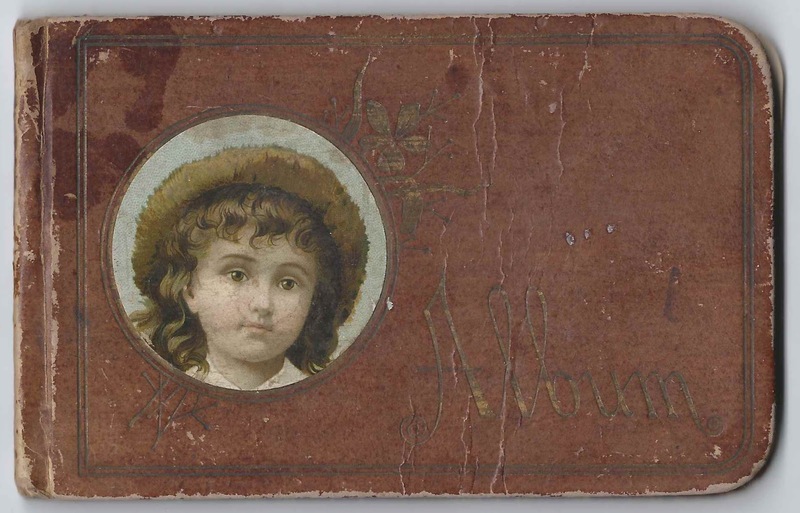 The album is approximately 6" x 4" and contains the sentiments of 17 of Marjorie's relatives, friends and schoolmates. An alphabetical list of the signers appears at the end of this post. Marjorie Triffitt was born 6 December 1887 at Machias, Maine, the daughter of William E. Triffitt and Emily Pilsbury (Albee) Triffitt. 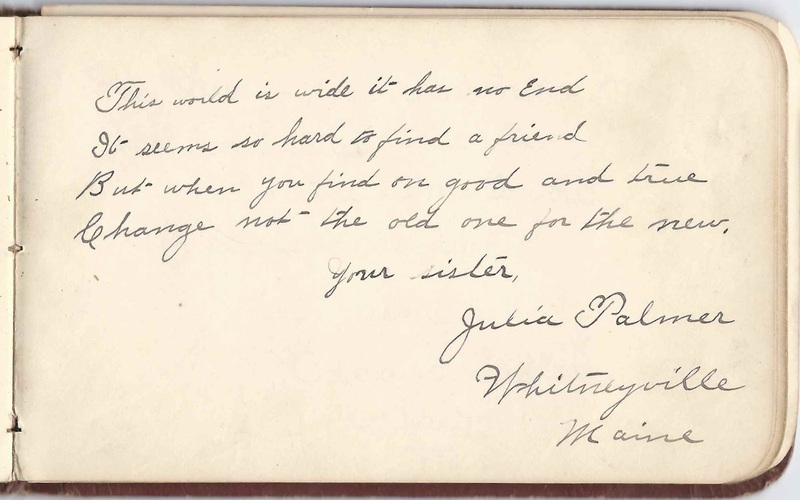 Marjorie had another sibling, a sister Julia Mabel (Triffitt) Palmer, who signed a page in the album. She didn't date the page, but it was after 21 April 1900, the date of her marriage to Edwin Jerome Palmer. Marjorie married at least twice. Her first marriage was to Arthur F. Good, sometime before 1920, when they are shown in the Aroostook County town of Mapleton, with Arthur working as a railway agent and Marjorie as a telegraph operator. Marjorie's widowed mother was living with them. I wonder if perhaps Arthur had earlier been stationed in or near Whitneyville, Maine, and that is how the and Marjorie met. Arthur was born in Canada about 1895, about 8 years after Marjorie's birth. I don't have information on his parents. There are family trees online which have conflicting information, so I'm not sure the Arthur in those trees is the correct Arthur. The marriage did not last. By the time of the 1930 Census, Marjorie and her mother were back at Whitneyville. Marjorie indicated that she was divorced. 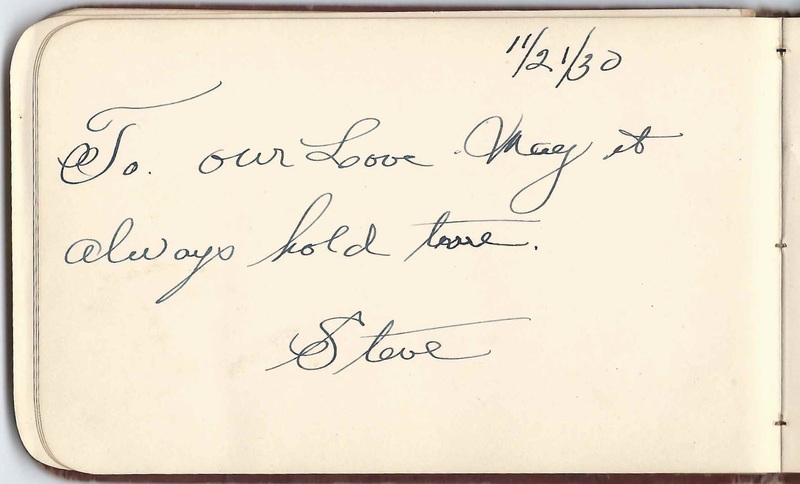 I wonder if the sad inscription written upside down on the inside back cover was written by Marjorie during the breakup of her marriage. On 19 November 1930, Marjorie married Stephen J. Knowles. He signed a page in her album two days later. The 1940 Census shows Marjorie and Stephen living at Whitneyville, Maine; sadly, Marjorie's mother had died the previous year. Stephen was working as a lumber grader in a saw mill and Marjorie as the proprietor of a retail store. Marjorie died in 1969. Carrie Bayers, signed on November 28, 1905 and inscribed "To Dot"
Daisy Bayers of North Lubec, Maine, signed on November 28, 1905 and inscribed "To Dot"
Steve, signed on November 21, 1930; presumably Stephen J. Knowles, Marjorie's second husband, whom she had just married on 19 November 1930. Ruby F. Longfellow; presumably it was she who signed the facing page as R.F.L. Julia Palmer of Whitneyville, Maine; Marjorie's sister Julia Mabel (Triffitt) Palmer, wife of Edwin J. Palmer. 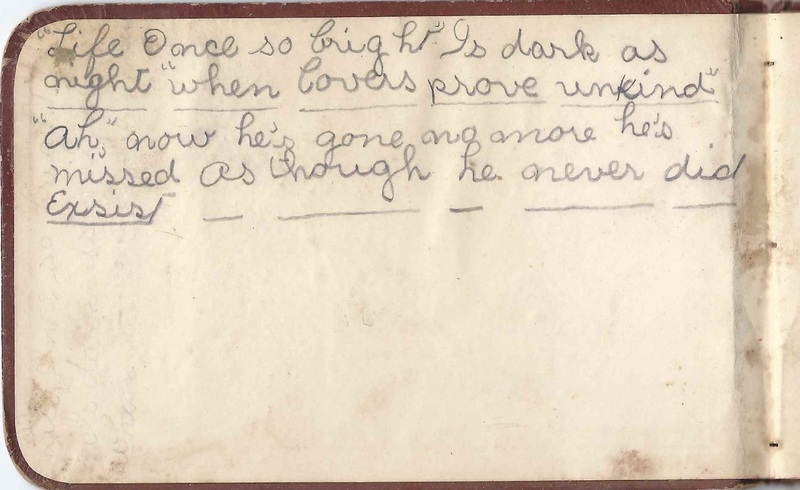 Evelyn Rumery, signed on November 28, 1905 and inscribed "to Dot".